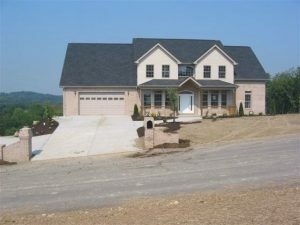 Start here to learn about financing, warranty information, and the standard features and lot options for a LAD Construction Company custom home. Take a look at some past LAD Construction Company projects showing exterior elevations, interior designs for kitchens, baths and family rooms, as well as renovations. We treat our customers like family, and their kind words mean everything to us. Many of our past clients have shared their experiences with LAD Construction Company. 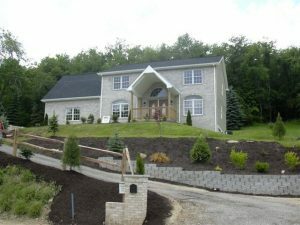 Your dream of building an affordable and beautiful custom home on your own lot is possible with LAD Construction Company, Inc.
Leon A. Dwinga Jr., Company President and Master Builder, relies on nearly four decades of construction experience in Pittsburgh and a personalized approach to give clients the perfect home for their budget, property, and lifestyle. LAD Construction Company wants you to be comfortable with the process of building a custom home on your own lot, from beginning to end. You won’t find high-pressure sales or a limited menu of home designs. 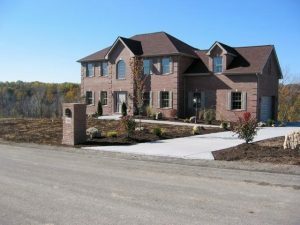 You will have an honest, full-service home builder who can help you find a lot, navigate local building requirements, and work directly with you to choose a unique design. LAD Construction Company offers one-on-one attention and quality craftsmanship for clients who are looking for something beyond “big box” builders. Predominantly a custom home builder, LAD’s services also extend beyond with custom additions, kitchens, concrete, asphalt, consulting and more. No job is too small – we do roofing, siding, remodeling, walls, decks, driveways, etc. Our new home is amazing!